Punjab, the land of yellow fields, is known for its vibrant culture. If you are coming to Punjab and not experiencing its true culture, then your trip might not be complete in a true sense. This Sadda Pind Amritsar Tour package is designed to give you the true feel of the culture of Punjab. 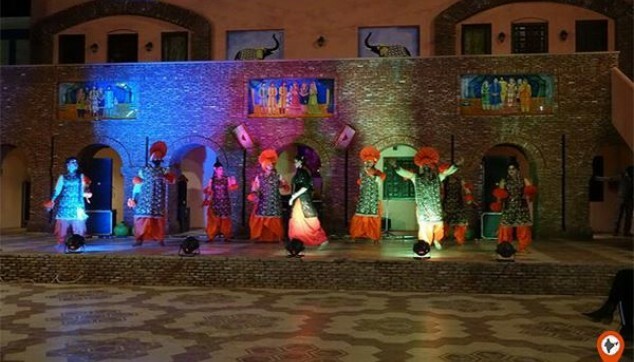 This cultural resort sprawls over a land of 12 acres giving you the vibrant feel of Punjab. You will see sights of women dressed in colorful Salwar Kameez churning out fresh Lassi (cool yoghurt drink), men sitting on Charpais and women doing Gidda. Along with the vibrant culture at Sadda Pind, get to enjoy the flavors of Punjabi cuisine. Visit Golden temple, the glory of Punjab. A nice Punjabi dinner awaits you. A local guide with interesting tales about the city. A private air-conditioned cab for comfort. Your evening tour to Sadda Pind Amritsar will start at around 6:30 pm. The driver will receive you from the hotel. From here, you will be driven to feel the vibrant culture of Sadda Pind. Relive a rustic life in this village resort of Punjab. The place is designed to give you the true feel of Punjab. 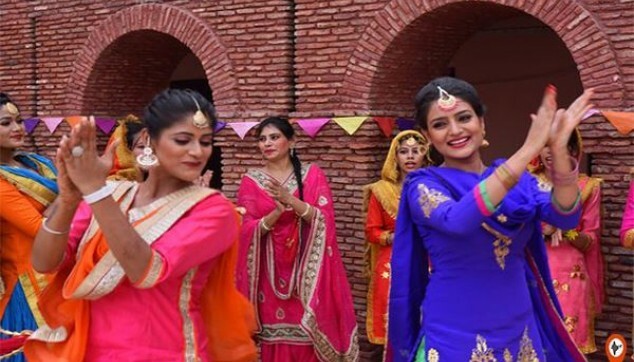 Here, you will find the visual delights of women performing Gida, men doing Bhangra along with the sights of women cooking in a traditional way. Along with this, you will see the mud houses lined up all around. Also, the village will take you the different antiquities of Punjab. After exploring the village, head towards a traditional Punjabi Dinner at Sadda Pind. Here have the Maki Di Roti, Sarson the Saag, Amritsari Naan and other delicacies of Punjabi cuisine. Once you are done with the dinner, head towards an orientation tour to Amristar. In this you will drive around the city in a private car along with a guide. Post that around 9:30 pm, you will be driven to the Golden Temple. Like Taj Mahal is the pride of Agra, in the same way Golden Temple is the pride of Amritsar. Here you will see the Evening Palki Cermony. It is a ritual in which the holy book Guru Granth Sahib is carried to a room for the night. During this time, the devotees hum the Gurabni Kirtan in melodious tones. Once the Ardas (Sikh Prayer) is completed, you may enjoy the Karah Prasad (holy offering). After the ceremony, the driver would drop you back at the hotel. Thank you so much for the tours, it was brilliant. really worth to coming Amritsar, Sahil is an awesome guide, very nice and friendly.. the driver (whose name i forgot) is a safe (unusual in India) and pleasant driver. i would highly recommend you to people. Sadda Pind Amritsar Tour turned out to be an interesting one. It gave us an insight of Punjab culture and Sikh religion. The tour arrangements were good and I really liked the place. Sadda Pind Amritsar Tour package fulfilled my dream to visit Punjab in India. I live in Canada and my friends are from Punjab. I got to know about the Sikh religion and Punjabi culture through this package. Thanks Indiator. I enjoyed the dinner and the visit to the Golden temple was really awe-inspiring. I think everybody should visit Punjab once and explore the Sikh religion.